Hi, I’m Kim Hume. Welcome to Perfecting Places, my little corner of the world where I share my love of decorating, color, design, DIY ideas, and other little tidbits of home to inspire you in your own little corner of the world. I like simple design ideas. I like making something beautiful from a mis-matched, gathered, handed-down, recycled, Craigslisted, and painted collection of lovely things for my home. You don’t have to spend a lot of money to have a pretty home. My favorite style is a classic, timeless look mixed with a little updated flair. Most importantly, I want my family and everyone who enters my home to sense a warm and inviting place, far from perfect, but a home that is well-lived where people are well-loved. Home is not a museum to showcase all your pretty things, but a place you use and live-in and share with all whom you invite inside. 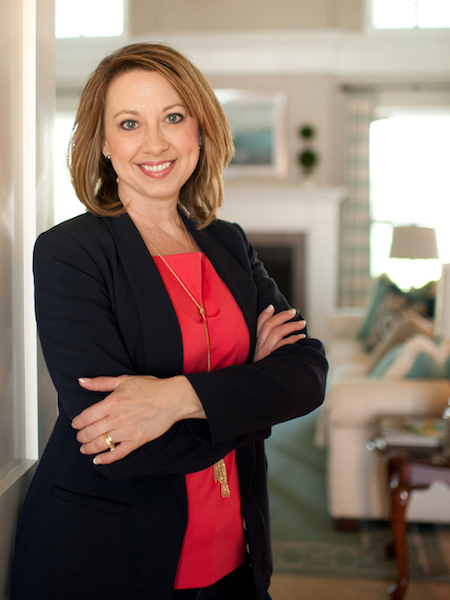 We live in Kentucky where I own an interior decorating and staging business, and love partnering with my clients and readers to help them implement decor solutions that personally and uniquely reflect their families’ personalities. I love spending time in my own Kentucky home, and want it to be a beautiful, cozy, and inviting place for our family of five (now 6 with our beautiful new daughter-in-love). I invite you to follow along as I share ideas and projects that I create for my own home and family. Enjoy the helpful tips, DIY projects, color and decor ideas, customized plans, and lots of room inspirations to help get your creative juices flowing as you create your own beautiful spaces where you and your family live. Thanks for joining in the fun! Need a little personalized design inspiration??? If you’d like customized design, paint, or home staging solutions for your own home check out my design and staging services. I’d love to inspire you make your home a well-lived space that that tells your own story. Contact me for help with your space! !